We are very close to 2018, so that means it is good time to predict what is going to happen with social media next year. As we all know, social media have big impact on global movements. They allow us to connect with each other regardless of our location. Today we can share information and quickly get informed about everything. 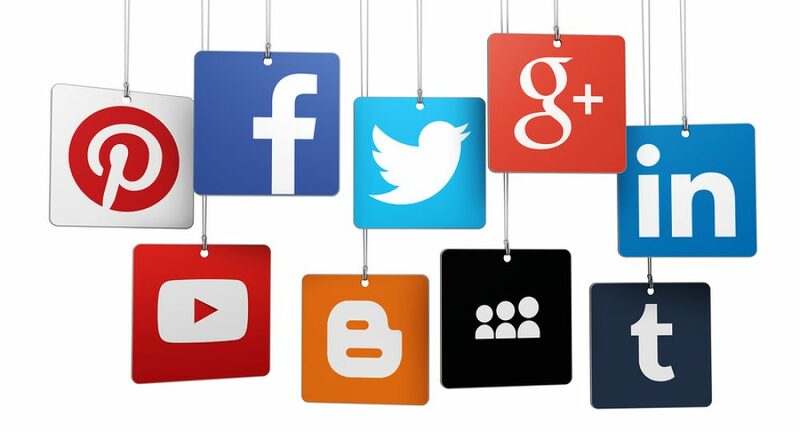 If you are working for a company, then you probably know that marketing through the help of social media platforms is the best way to reach the customers. In 2018 we should expect several innovative things regarding social media. The following are some of them. First thing we can expect is bigger involvement of videos. Videos have become top channel for connecting with the audience, so the visual content will likely be the mostly used form of communication in 2018. Video-driven content will get extra popular because videos receive better engagement from customers. People tend to react and comment more on videos than on other content like pictures or just words. Using short video clips that can vanish within one day has been very successful strategy of platforms like Snapchat or Instagram, so we should see that trend rising next year. Augmented reality is another thing that will likely have great impact next year. This type of technology can revolutionize the way we use applications. Imagine if you are able to try different clothes without having to leave your home or go into a changing room? Or seeing a product and its options without physically going into store? Even attending music concerts can be done without having to buy a ticket and leave your home. All of this is expected to get developed more next year. 2018 is the year when we should also expect to get more personalized content. Marketers will try to approach existing and potential new customers by offering them personalized content. This is a good strategy because everything will be personalized to the specific details of the person, such as gender, age, location, levels of income, education level, likes, and many other things. Usage of Twitter as social platform will also likely increase. The numbers of Twitter users were slightly down in 2017, but 2018 should be the year when this platform will really take off. Twitter has recently launched new limit of 280 characters, which is double of what was previously allowed. That will make people say more and share more, and will also give plenty of opportunities to the advertisers. We should see some very innovative things from Twitter next year, so make sure you follow the latest developments. In 2018 we should also expect to see a rise in number of chatbots on websites. The artificial intelligence is taking over every aspect of technology, so these chatbots are expected to become primary when it comes to monitoring websites and answering customers’ needs. The dating capabilities will expand as well. The dating app SexSwipes is currently working with AI to match users together and encourage them to us virtual reality to communicate. Chatbots software constantly gets perfected and we expect to see rise of usage of this software next year. What are the best social media apps for marketing? Regardless of whether you want to build up your customer base or you want to better manage your existing customers, it is very important for you to have the proper tools in order to keep your business going. Social media apps are very popular today and many people are using them for all kinds of things. If you want to be successful in the world of business then you need to take advantage of the following social media apps and tools. That way you can increase your profits by increasing the number of your customers. Of course, Facebook remains the number one social media app to use for marketing your products and services. It gives you a lot of opportunities, and the fact that this platform has over billion users means that the chances to increase your profits are huge. Probably most of your customers are already using this platform, so this is perfect app for you to connect with them. Twitter is another app to use for marketing, because it is very easy to use and you can start tweeting immediately. Twitter is ideal app for spreading the word of mouth for your products and services, so it is definitely a social media app great for marketing. Dating wise you can look at the NudeTeens App as its increasing in user membership and have tons of positive reviews in the app store. You can also take advantage of other apps like ClientTouch, which is an app that gives you chance to market your products through sending emails. It is very easy to use app and you can instantly reach large audiences. Besides these, Google Apps also offers you many benefits. With this app, you can use different programs for managing and increasing customer base, you can create different strategies, and you can do other things important for your business. Google Apps is ideal for better management of your marketing strategies. Speaking of project management, Basecamp is another app ideal for businesses that want to better communicate their message with their target audience. If you want to further improve your business then check out TweetDeck or Monitter. These two apps are great for better management of your tweeter account for your marketing strategies. Both of these platforms offer many great unique features for you to use. You can monitor different things, check out latest trends, etc. Finally, YouTube is also one of the best social media apps for marketing. Many of the successful businesses are using YouTube for marketing their products and services. It has plenty of advertising tools that are easy to use, so even if you are not very skillful in dealing with apps you will have no problems using it. You can create different informational video clips, create personalized videos for your customers, and do other great things. Video content usually gets lot of engagement, so use this app to significantly increase your customer base in short period of time. All of these mentioned social media apps have their own advantages, so make sure you try them and then focus on the one that will bring you the best results for your business. 2017 has been an exciting year regarding social media. There were plenty of nice trends that took off and some are still developing. Some things have gotten much better, while others were put on a stand-by. However, one thing that was certain was that social media have become very predictable. The rise in number of users was steady and their profits were regular as well. Among many other things that happened in the social media, the following were the most notable. Facebook were and still are the biggest social platform, and the main thing that happened with this platform is that they went almost completely mobile. They finished their transition from desktop to mobile devices and now large majority of users are accessing this platform through their mobile devices. Another impressive fact from 2017 is that 80% of Facebook`s revenue came straight from their mobile ads. Video content also took over the social media. More and more social media platforms have implemented this into their platforms, and video-driven content was the most used strategy of many marketers in 2017. Even Mark Zuckerberg from Facebook stated his intention that his company will be transformed into a video platform in the upcoming years. They already did the first steps and Live Video feature really took off in 2017 and many of the users used it as a way to connect with other users. Other platforms like Snapchat and Instagram also used this concept a lot in 2017, so video content really was the king in 2017 across all social media platforms. Social media also transformed in 2017 in a way in which now they are not only for millenials, but older generations also started using them more and more. A few years ago social media were like a playground for younger generations that had fun online, but not anymore. In 2017, over 50 % of the social media users were above the age of 35. However, interesting fact is that older generations preferred Facebook as their social platform, while younger generations switched to using Snapchat and Instagram. For example, over 80 % of Snapchat users in 2017 were below the age of 35. In 2017 there was no more line between what is social media user and media user. Most of the people that used internet were also social media users, and interesting fact is that in 2017 over 70 % of the internet users were at the same time social media users. This trend is expected to rise in the upcoming years as well. Finally, social media platforms in 2017 mostly focused on generating new revenue per user rather than on the entire base. Dating on social media significantly increased. Apps like Free Sexting App expand its platform and wisely marketed its app. Social media platforms did their best to build value from individual users instead of going after larger groups of users. Marketers focused primarily in targeting individuals for promoting their products and services. This is another trend that is expected to grow in the next few years.